The RS6 20" is a pleated polyester cartridge for OMNI's heavy duty, high-flow Whole House water filter, Model BF55. Of the replacement cartridges available for Model BF55, the RS6 is our most affordable. 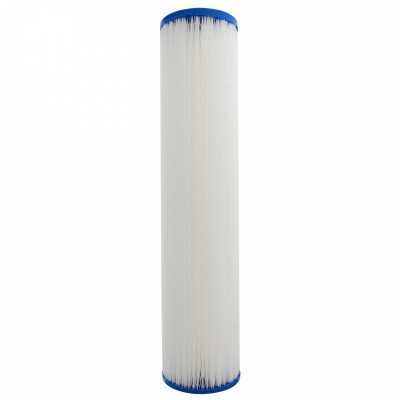 Change cartridge filter every 6 months or 30,000 gallons. RS6 20" Cartridge - For BF55.